Composer who co-wrote the FACT 195 The Belly of an Architect soundtrack with WIM MERTENS. 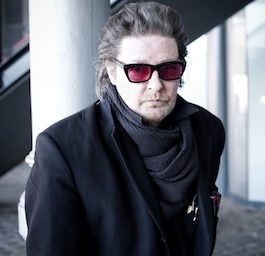 "Glenn Branca was born in Harrisburg, Pa. in 1948. Starting in 1966 he lived in both Boston and London until 1976 when he moved to NYC where he still lives. "In the last 40 years his work as a composer has included music for experimental rock bands, large ensemble instrumentals for electric guitars, 16 symphonies for both electric instrumentation and acoustic orchestras, chamber ensemble pieces for a wide variety of instrumentation (both electric and acoustic), an opera, a ballet, choral works and music for film, dance, theater and installation art. His ensemble has done hundreds of performances all over the world."